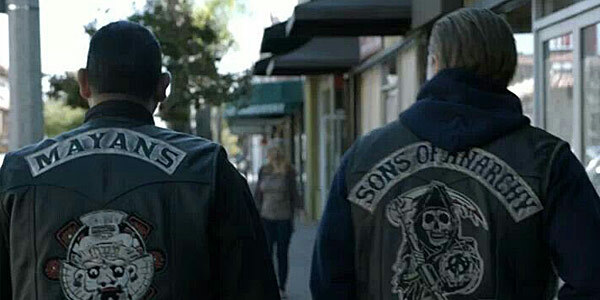 Like Sons of Anarchy, Mayans MC will obviously be a drama and it is moving forward over at FX Networks. It’s described as a “family drama,” as well as a drama that is also explaining how outlaws may live, this time “reflected through a Latino lens.” Since Kurt Sutter is a random white dude, the project has hired Elgin James to pen the script. The writer and director is mostly known for the indie flick Little Birds, but his background in a group—sometimes classified as a gang—known as FSU in Boston gives him more unique experiences in regards to the sort of lifestyle that the Mayans lead. In addition, his multi-racial background should help him to understand and flesh out the characters in ways that Kurt Sutter feels he cannot. Elgin James is also set to direct A Million Little Pieces. Initially, a Sons of Anarchy follow-up was going to be about John Teller and Piney, but that doesn’t seem to be the direction Kurt Sutter/ FX want to go in any longer. About six months ago, Kurt Sutter admitted that FX was more excited about putting together a Mayans spinoff. He also said at the time that he was the wrong person to write it, and that the network would look for a Latino writer. That seems to be what has happened with the script order, now. The Mayans Motorcycle Club played a role in the original Sons of Anarchy series, appearing in each of the series thanks to doing business and often having problems with SAMCRO. They are known for dealing in heroin and prostitution--both avenues which would likely be explored in a spinoff. While a lot of people were excited about the idea of a prequel, doing a series from the perspective of the Mayans means that potentially some characters from the original series could pop in and out a la Better Call Saul and Breaking Bad. Obviously, this will depend a lot on the timeline, and we’ll keep you updated as Mayans MC continues to move forward. For now, you can check out what TV has coming up.